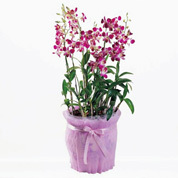 Whatever the occasion, this beautiful fresh orchid makes the perfect addition to any home or office. 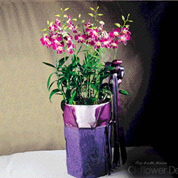 Dendrobiums are often one of the first orchids that are attempted by growers new to orchids, and with good reason. They usually bloom from May to October, with flowers lasting eight to twelve weeks. 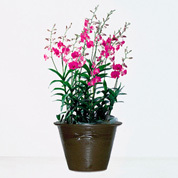 This orchid plant arrives blooming with a natural wood planter. 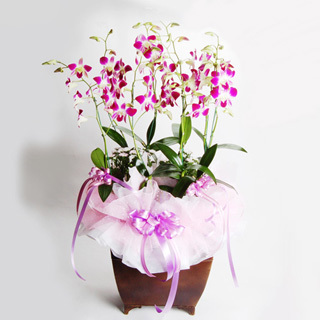 To ensure the best quality, the orchid variety and color may vary. 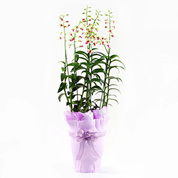 Upgraded dendrobium orchid items are made with additional stems of the highest quality and long stem orchid.